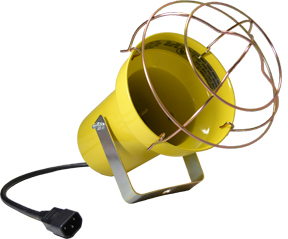 The traditional Metal incandescent light head from Tri Lite is an industry standard proven to be an affordable, tough, long lasting investment for your Loading dock or work area. 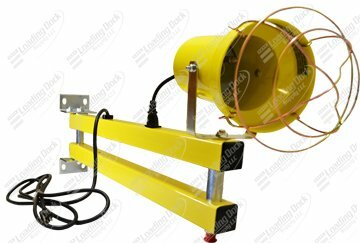 Rated up to 300 watts and UL listed this lamp provides the essential factors necessary to create a safe environment within trailers at the loading dock. While intended for illumination of trailers, the incandescent dock light also functions as a workstation illuminator. A light duty dock light arm intended for limited use. Provides up to 300° horizontal and vertical movements from the joint. Not suitable for heavy lamp heads or fans. Available in 40” & 60” lengths. 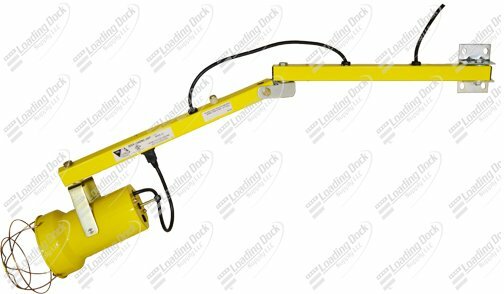 Standard modular arm with the flexibility of heavy duty impact absorber designed to withstand impacts from forklifts and loading dock doors.